YOOUUUUUUUU’ve probably heard Soulja Boy, the once teen wonder-rapper that brought a string of hits to the hip-hop charts like “Crank That,” “Kiss Me Through The Phone,” and “Turn My Swag On.” What you probably haven’t heard of are AliExpress-famous Chinese after-market/knock-off Bluetooth smart watch brands like LEMFO and QAQFIT. So what happens when you put these two things together? Well, you get SouljaWatch. 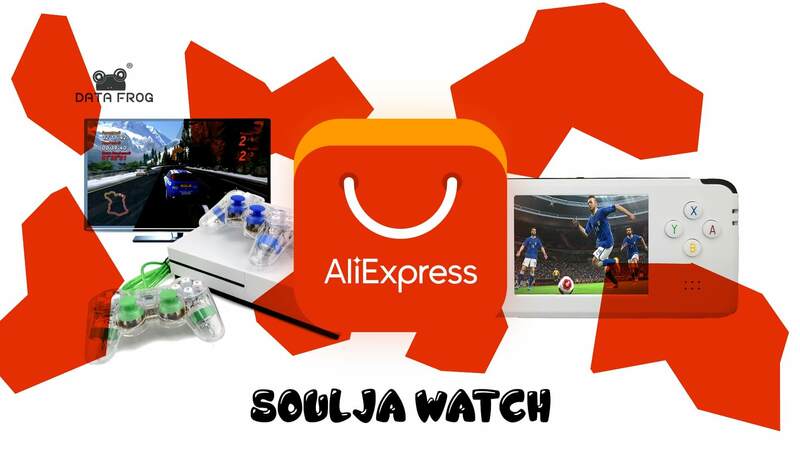 SouljaWatch is Soulja Boy’s new brand that resells these aftermarket products with his name attached. The website is built on Shopify and looks like it was thrown together overnight with no thought given to any sort of coherent, or even templated drop shipping web design. The footer contains the two menus which both contain the same links and the images on the web store with unaltered original manufacturer logos. The SouljaGame Console and SouljaGame Handheld are two gaming systems with over 800 and 3000 built-in games respectively. These consoles are basically just over priced emulators if you’re interested in that sort of thing. You can order the original Data Frog HD Console (SouljaGame Console) from AliExpress here, as well as the handheld console, the RS-97 RETRO (SouljaGame Handheld) here, each for roughly $50 to $70 cheaper than on Soulja Boy’s website. Now that, that’s busted, you can listen to “Crank That” below and the SouljaWatch is available for $19.99.